This method accepts an integer and returns the absolute value of the given integer. Following is the syntax of this method. The following example demonstrates the usage of the abs() method in CoffeeScript. Save this code in a file with name math_abs.coffee. Open the command prompt and compile the .coffee file as shown below. Now, open the command prompt again, and run the CoffeeScript file as shown below. 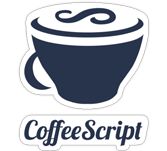 On executing, the CoffeeScript file produces the following output.